A profession combination with adjustable straps and ratchet, anti fog coating on both sides of the visor. 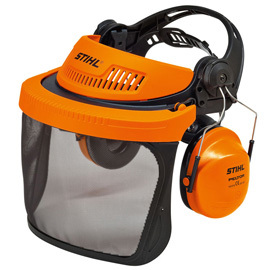 This kit can be worn with or without the ear muffs depending on the job. Your forehead is protected and there are ventilation slots for air circulation. Meets NZ standards. (up to 108 dB(A)).